Taekwondo is a Korean martial art. There is a rich history behind its creation up to how it is practiced in today's modern world. In ancient times there were tribal communities on the Korean peninsula. There have been old martial art books discovered that mention taekwondo being used during these early times as the tribes built up their strength and ability to defend themselves. 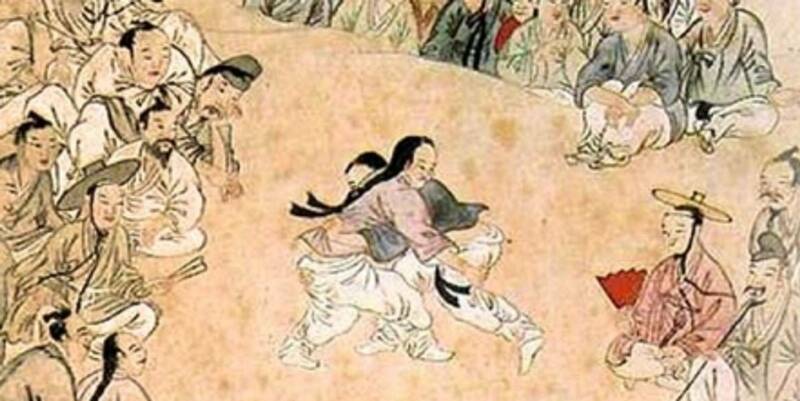 After that martial arts was represented in tomb paintings, murals, and found in other historical findings of the ancient times showing that it was used in rituals, fights, and in group training during times of conflict. During the middle ages martial arts abilities were required of military personnel. There were also contests where the winners were chosen to join the military. In modern times the contests still continued to determine those fit to serve in the military, however there was a decline in the emphasis placed on learning martial arts as there was a ideological shift toward learning literary arts. Then when Japan invaded Korea, a revival of martial arts training began. The techniques used during this time resemble the basic techniques of taekwondo today. Although the Japanese colonial government at the time prohibited martial arts from all but Japanese military personnel as a way to suppress the Korean people, some found ways to secretly pass on the art until the liberation of the country in 1945. After their liberation from Japan, the Korean people began practicing their martial arts traditions once again for both personal use and use in military training. In 1955, the official name of Taekwondo was given in an attempt to unify the various martial arts schools (kwans). This name was given by General Hong Hi Choi who is often considered the father of Taekwondo. The Korean Taekwondo Association (KTA) was formed in 1961 by decree of the military government as a way to finally unify all of the martial arts styles. Taekwondo dojangs gained popularity and instructors and demonstration teams were sent all over the world. In 1966 the International Taekwondo Federation was formed and Choi moved the ITF headquarters to Canada. In 1971 taekwondo became the national martial art of Korea. The following year Kukkiwon was founded and used as the country's taekwondo headquarters. Due to the ITF headquarters not being in Korea and issues with North Korean influence, it's connection to the KTA in South Korea was dissolved. Then in 1973 the World Taekwondo Federation was established at Kukkiwon and is the only official organization recognized by the Korean government. Taekwondo competitions became more and more popular. In 1988 and 1992, Taekwondo was included in the Olympic Games as a demonstration sport, but in 2000 it made its debut as an official Olympic sport. Today, taekwondo continues to be a popular martial arts choice and many athletes train and compete in both Olympic and non Olympic competitions around the world. Modern taekwondo incorporates techniques from various martial arts styles throughout Korea's rich history as well as some techniques from countries that surround Korea. In the United States there are more than 5 million taekwondo practitioners. The United States Taekwondo Union is the only national governing body for taekwondo in the United States. For a more detailed version of taekwondo history look here. 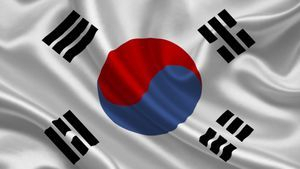 The Korean Flag was created in 1948, three years after the defeat of Japan in WWII when they were finally able to construct a flag that their people could proudly stand by. There is so much meaning behind the Korean flag (Taegukki). The flag itself can be broken into 3 parts: the white background, the taeguk in the center, and the 4 trigrams at each corner. The flag was designed to represent the values of the Korean people. The white background symbolizes peace, purity, and cleanliness. The taeguk at the center is a familiar symbol to most (known as Yin Yang to many). Taeguk is the Korean term as Yin Yang is the Chinese term. The taeguk is meant to symbolize balance and harmony in the universe. The two parts are interconnected and form a continuous circle, showing that opposite forces are a part of life and that we must keep them balanced to find harmony. The circle itself represents unity, while the Yin and Yang represent duality. The center line is not straight, which symbolizes that the balance is fluid, always changing and moving. The Yin of the Korean flag (known as Eum) is shown in blue. It represents the dark, cold, or negative forces. The Yang of the flag is shown in red. It represents the light, warm, or positive forces in the universe. The four trigrams at the corners also represent opposites and balance. The Korean term for these trigrams is Kwe. The top left (Geon) symbolizes Heaven, as well as sky, Spring, east, humanity, father, and justice. The bottom left (Ri) symbolizes fire, as well as the sun, south, autumn, justice, daughter, and fruition. The top right (Gam) symbolizes water, as well as the moon, winter, north, intelligence, son, and wisdom. The bottom right (Gon) symbolizes Earth, as well as summer, west, courtesy, mother, and vitality. As a whole, the flag is a symbol of the ideal of the Korean people to develop together forever with the universe.